Welcome to ACS Door Services of Cedar Rapids. This family‑owned and operated business has been providing garage door services in the Cedar Rapids area for many years. During that time, we have developed a reputation for reliability, service, and fair‑prices. We strive to provide service and products that fit each customer’s budget and needs. We meet our commitment to quality by relying on Garaga brand garage doors. Over the past years, we have found that Garaga products provide the reliability that we demand for our customers. Garaga products stand out when it comes to outstanding energy efficiency, strength, exceptional visual appeal, and flexible design. 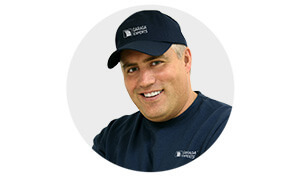 We are confident that a Garaga brand garage door will meet or exceed your expectations. You can use our image gallery to see the many different Garaga designs that we offer. Garaga options include both classic and modern doors. Garage doors are heavy, and you need to open them multiple times each day. A reliable garage door opener is very important. That is why ACS Door Services of Cedar Rapids installs LiftMaster garage door openers. LiftMaster units are the top choice for garage door professionals because of their reliability, durability, and advanced safety and efficiency features. The Chamberlain Group is responsible for manufacturing LiftMaster products, which come with a variety of options and enhancements that can fit any budget. You can choose extra security or safety features, smartphone controls, and battery backup features for businesses. If you want this blend of quality, options, and reliability, you can contact us for your garage door opener needs today. Or, you can browse our large selection of garage door openers online. Our experts can advise you about both residential or commercial‑grade openers. The Garaga Experts at ACS Door Services of Cedar Rapids can bring you peace of mind when it comes to installing your new garage door and opener. Our team has many years of experience, so we can act as your trusted partner during every stage of your garage door project. We will be there to advise you during selection and installation, and we can also work with you to provide maintenance and make repairs. We even offer a preventive maintenance program to keep your door operating perfectly though its entire lifespan. Our service vehicles are ready to provide emergency service 7 days a week. Even if it is not an emergency, we stand apart from the competition because we offer same day service at no additional charge. Here at ACS Door Services of Cedar Rapids, we are always willing to go above and beyond for our customers. We specialize in residential, commercial, industrial and agricultural garage door installation and service in the Cedar Rapids, NE area. You can contact us at 319-364-5400 or reach out via our free online quotation form. Thank you for your interest in ACS Door Services of Cedar Rapids. We look forward to working with you! Iowa: Adams, Alburnett, Alvo, Amana, Anamosa, Ashland, Atalissa, Atkins, Avoca, Beaver Crossing, Bee, Belle Plaine, Bellevue, Bennett, Bennington, Blairstown, Boys Town, Brainard, Brandon, Brooklyn, Bruno, Buckingham, Burr Oak, Cedar Falls, Cedar Rapids, Center Junction, Center Point, Central City, Ceresco, Chelsea, Clarence, Clutier, Coggon, Colon, Conroy, Cook, Coralville, Cordova, DeWitt, Deep River, Delhi, Denver, Dewar, Dike, Dorchester, Douglas, Dunbar, Dundee, Dunkerton, Dysart, Eagle, Elberon, Elk‑horn, Elmwood, Ely, Evansdale, Fairbank, Fairfax, Firth, Garland, Garrison, Gilbertville, Greenwood, Guernsey, Hallam, Hartwick, Hiawatha, Hickman, Hills, Homestead, Hopkinton, Hudson, Iowa City, Janesville, Jesup, Kalona, Keota, Keystone, La Porte City, Ladora, Langworthy, Lisbon, Lone Tree, Lorton, Lowden, Luzerne, Malcolm, Marengo, Marion, Martell, Masonville, Mechanicsville, Middle Amana, Milford, Millersburg, Monticello, Morley, Morrison, Moscow, Mount Auburn, Mount vernon, Murray, New Hartford, Newhall, Nichols, North English, North Liberty, Norway, Olin, Oran, Oxford Junction, Oxford, Palmyra, Palo, Panama, Parnell, Plymouth, Prairieburg, Quasqueton, Raymond, Readlyn, Reinbeck, Riverside, Robins, Rowley, Ryan, Shell Rock, Shellsburg, Solon, South Amana, South English, Springfield, Springville, Stanwood, Sterling, Stout, Swanton, Swisher, Talmage, Tiffin, Tipton, Toddville, Troy Mills, Urbana, Utica, Van Horne, Victor, Vining, Vinton, Virginia, Wahoo, Walford, Walker, Waterloo, Watkins, Waverly, Webster, Wellman, West Branch, West Chester, West Liberty, Western, Weston, Williamsburg, Winthrop, Wyoming.